In 1977 the Georgia General Assembly created the Georgia Council on Aging to advise state government on issues facing older Georgians. Over those 40 years the council has worked with its Coalition of Advocates for Georgia's Elderly to improve the lives of older Georgians. Join us as we celebrate 40 years of work through our 40 ways campaign. Contact Governor Deal's Office and ask him to support older Georgian's and the 2018 CO-AGE Priorities. Work Groups are a critical part of the process for CO-AGE Priorities. We hold conference calls to plan and strategize for the legislative session. Contact Us to join one of the work groups! Have you renewed your membership with CO-AGE? Are you a member of CO-AGE? Join today to become part of our advocacy network! Do you know someone who should join you for our October or July CO-AGE Meetings? Invite them to come along! Each April we bring CO-AGE to you! Consider hosting an ENGAGE with CO-AGE event April 2018. Learn more about ENGAGE here or Contact Us for more information! Maybe it's a foodie Friday recipe or an article about our priorities. Visit our Facebook page and share one of our posts with your friends! Share your feedback with us on how we are doing. Number 30: Ask a friend to call their legislators! Now that you have taken action, tell a friend how important it is to contact their legislators. Let them know about the CO-AGE Issues and ask them to contact their legislator. Click here to view our 40th Anniversary Sponsors and be sure to click their logos to check out their websites! Send an email to your legislators with our 2018 CO-AGE priorities. Check out DHS' Volunteer Guide and find a local organization to volunteer with. Have you or a loved one benefited from home and community based services? Share your story with us to help us advocate for these programs. Click here to submit your information and one of our staff will follow up with you! Visit www.gcoa.org/40th to purchase tickets for our 40th Anniversary Luncheon. Each May we open our call for issues. Do you have an issue that affects older Georgians? Submit your issue and CO-AGE members may vote for it! Number 22: Attend Senior Week! February 7 and 8, 2018 are GCOA's Senior Week. Contact us to learn more and plan to visit. You can talk with your legislators while they are making key decisions. September 28 and 29 will be the 2nd Senior Hunger Summit. Attend to learn more about how Georgia is addressing Senior Hunger. Click here for more information. Vote in each and every election. Your voice matters. 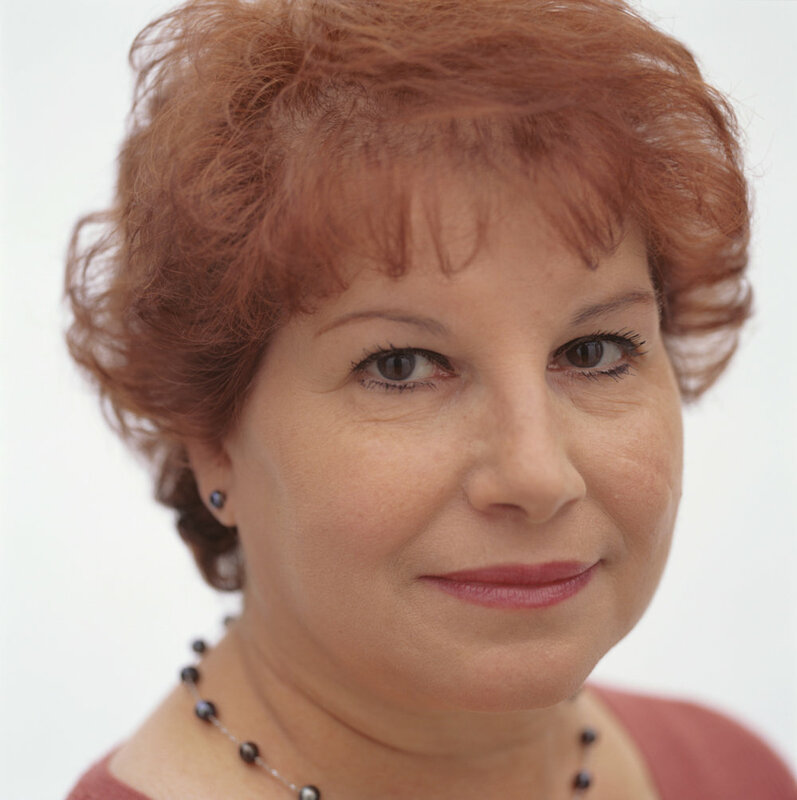 Register here to attend the October CO-AGE Meeting! Get a 2018 Priorities Brochure at our October CO-AGE Meeting and send one to your legislator to let them know you support our CO-AGE priorities. Tell them about the one of the CO-AGE priorities and how it will help you. Have you looked at our website recently? We have our issues, news, and a variety of resources available for anyone to access. 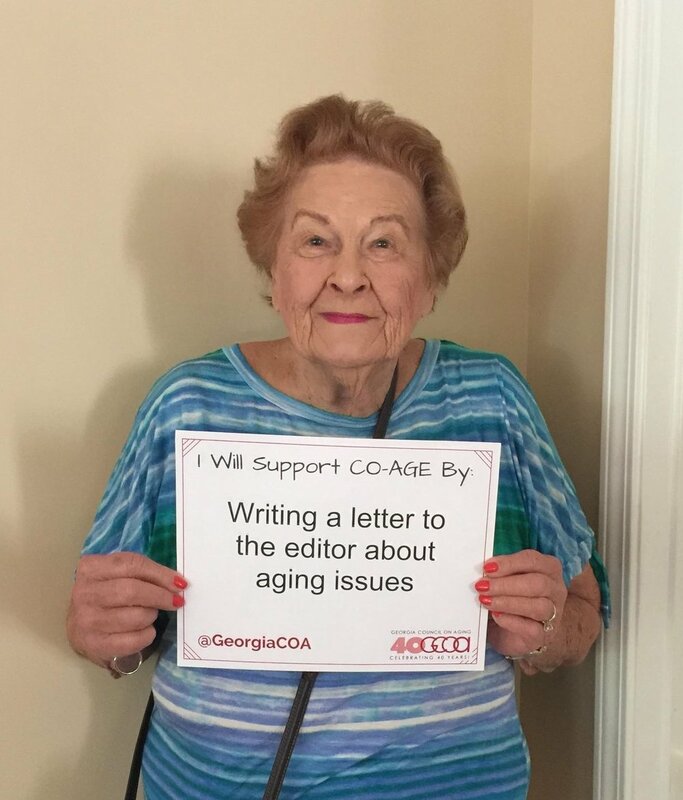 Tell your State Representative that you support Older Georgians and the 2018 CO-AGE Priorities! Send a letter to the editor of your local paper about one of the CO-AGE priorities and why it is important to you. Share your letter with us! Do you have photos of past council or CO-AGE meetings? Send them our way. They could be featured at our 40th Anniversary Luncheon or on Facebook! The first of each month we send out the Senior Issues Newsletter. Share the newsletter with a friend or tell us what stories you would like to see! Click here to visit our blog where we share recent cases of elder abuse from around the state. Each Georgia County is served by an Area Agency on Aging. Click here to find yours and learn more about the services they offer! Did you know Georgia has an Alzheimer's and Related Dementias State Plan? Click here to learn more! Send a Thank You note to your elected officials. Their hard work each year helps us improve the lives of Older Georgians. Contact us if you would like to help groups navigate the Capitol during Senior Week. Let us know if you have contacted a legislator or shared with a friend! Do you run a senior center or other senior program? Ask your legislators to meet with you and show them your program. Share our facebook page with a friend. Number 40: Celebrate with us! Help us celebrate 40 years of advocacy in whatever way you can!